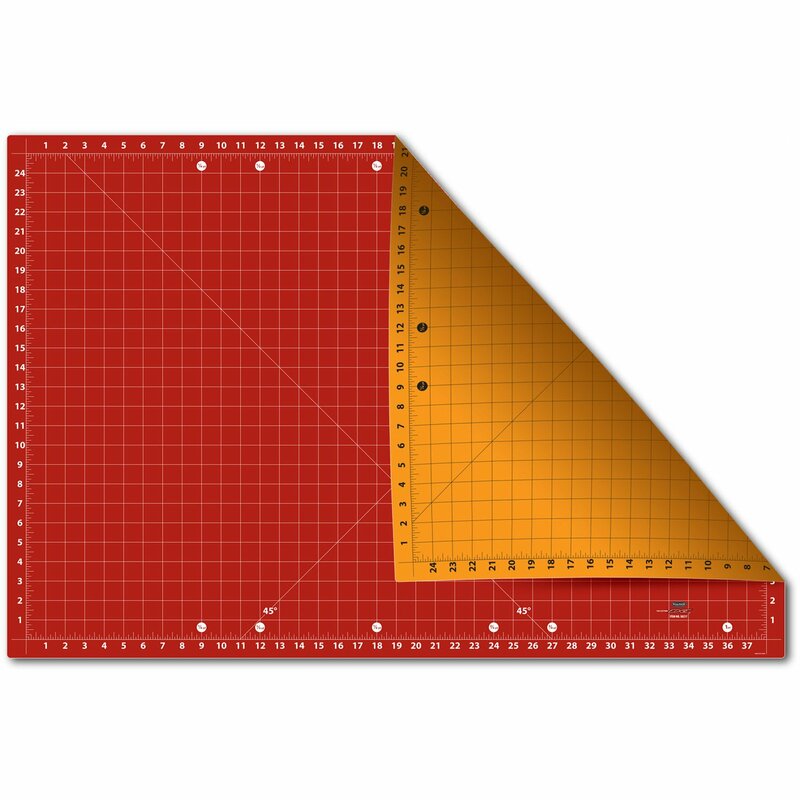 Notions > Cutting Edge Self Healing Mat 25" x 37"
Cutting Edge Self Healing Mat 25" x 37"
Self healing double sided mat. Marked 24" x 37" Actually measures 27" x 40" edge to edge. Orange on one side and red on one side. Has markings on both sides including 45* angle markings.